Established in the early seventies as a traditional eastern Maine guiding outfit, Sunrise's operations now encompass itineraries ranging from the vast Arctic frontiers of northern Canada . . . to the desert canyons of the American Southwest. There also continues to be emphasis on exploring the more unique, and lesser traveled, rivers of eastern Canada, particularly Quebec, and of course . . . Maine. Known and respected nationwide for combining the best elements of traditional northern guiding and canoemanship, with contemporary whitewater and expedition techniques, Sunrise has over the years attracted some of the finest professional canoeists and expedition river guides. Catering to a distinct clientele who seek unusual river destinations, our trips are run with integrity - in respect to aesthetics, instruction, and personalized service. Whitewater technique, particularly solo paddling and poling, has been our specialty for over 25 years. Recommended repeatedly by numerous publications, and used by the National Geographic Society, our quality and style can be attested to by our clientele, many of whom come back loyally, year after year, to try new and different rivers. *CORPORATE AND PRIVATE GROUPS are a specialty. 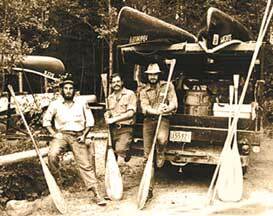 We have always considered canoe voyaging an art; and the guiding and outfitting of small parties of open canoeists has always been our primary business. Although Sunrise is known for offering the most extensive selection of itineraries of any outfitter in the specialized field of canoe tripping, our heritage remains that of the professional Maine Guide - stressing care and respect for the welfare of our clients. However, unlike some tripping outfits, we are definitely technically oriented; instruction in all facets of canoe handling and living comfortably outdoors is an integral element of all of our trips. 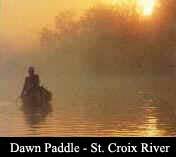 All is included in the trip price; canoes, all river running and camping gear, meals, ground and/or float transportation and, of course, the services of some of the most versatile, seasoned, and dedicated veteran professional river guides in North America. (Staff: participation ratio is approximately 1:4). All you need to bring is your own clothing and sleeping bag. We pride ourselves on our meals. Fine food and company, complement beautiful riverside settings. Dinner is accompanied by fresh baked goods, salads, and wine. Special dietary needs and preferences can generally be accommodated. Most trips are conducted at a fairly leisurely pace. We camp each evening at choice spots along the river; putting into camp early enough in the day so there is ample time to swim, fish, and just relax. As concerns to trip logistics, specific information on each river, packing list, recommended reading, etc., will be forward to you upon receipt of your deposit. 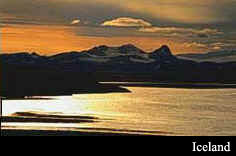 (Typically, you arrive the evening prior to the trip starting date to facilitate final packing and other details. ) Our personalized service extends to an office staff that is exceptionally responsive, thorough, and experienced in assisting with your other travel and administrative arrangements. In addition to scheduled trips, customized arrangements are welcomed for private, family, group, or corporate parties; with the itinerary, menu, daily pace, and level of service constructed to fit the needs and style of the individual party. Years of practical experience teaching canoeing has led to a system of instruction that is both thorough and concise; and which provides our clientele with a solid background for good river performance in a relatively short time. We feel that, given the proper coaching, most people can be taught to run easy to moderate whitewater., (class I-II), with grace and confidence, within a few days' time. Should you already have some skills and experience, this could be the opportunity to develop truly dynamic technique and to refine your form. Our strong and effective style combines decades of canoeing influence - it merges the traditional skills and attitudes that most of us grew up with, with the latest contemporary whitewater methods. You can learn either tandem or solo, although we encourage solo canoeing as it allows for greater personal freedom and style. Poling has always been our trademark. A little bit of instruction goes a long way. 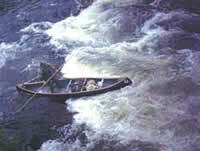 For many years the setting pole was the accepted method of propelling a canoe in the rivers and streams of the north country of Maine and eastern Canada. It was a skill passed on from one generation of rivermen to the next. Lately, there has been a renewed interest in poling - with competitive poling in particular capturing canoeists' interest. Offering a level of control and visibility not always possible with a paddle., poling can range from an immensely practical and efficient method of upstream and shallow river travel - to an elegant downriver art form; combining the best elements of surfing and downhill skiing. It can be delicate or daring, but most significantly - it offers The best means for understanding the subtleties of river current. Simply put: poling will make you a better paddlers, and certainly a more versatile canoeist overall. If you are interested, we'll pass it on. Sunrise has successfully adapted the group format to suit the diverse needs of corporate clientele. whether it be for incentive travel, relaxing executive retreats, to provide an environment t to complement staff development programs, or just plain "R&R", we have the ability to package first-class trips and itineraries to accommodate a broad range of requirements and requests. You are only limited by your imagination as to the possibilities; river trips can be excellent vehicles for fostering group skills and communication - not to mention just "blowing off steam". On all private, family, group or corporate trips, the itinerary, menu, daily pace,, and level of service can be constructed d to fit the needs and style of the individual party. We're quite flexible in this regard. Past experience, however, has indicated that relatively easy rivers, such as the Saint Croix or Cascapedia, or, (if challenge is more a priority), possibly the Bona venture or Rio Grande, best lend themselves to groups of mixed skill, where social experience is a primary consideration. Corporate references and price quotes upon request. 4 Union Plaza - Suite 2 • Bangor, ME 04401 • U.S.A.